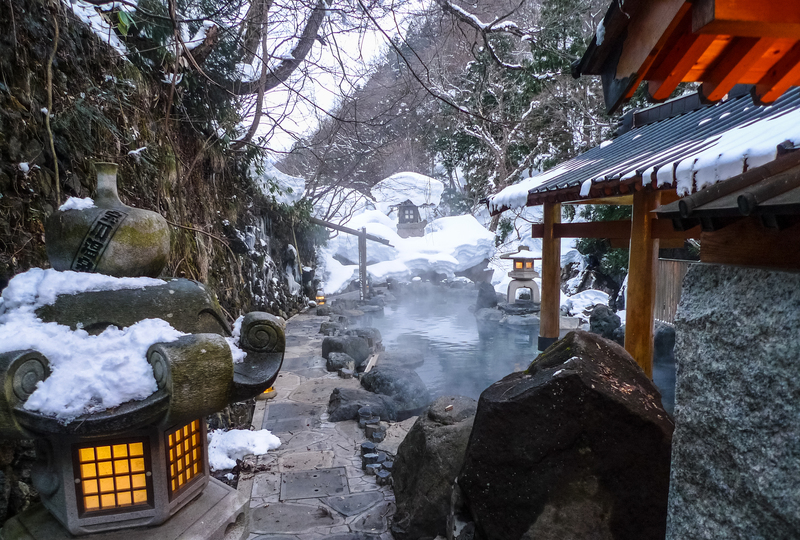 Since 2010, together with my running buddies, we have been making yearly trips to Japan and onsens always feature prominently in our itineraries. 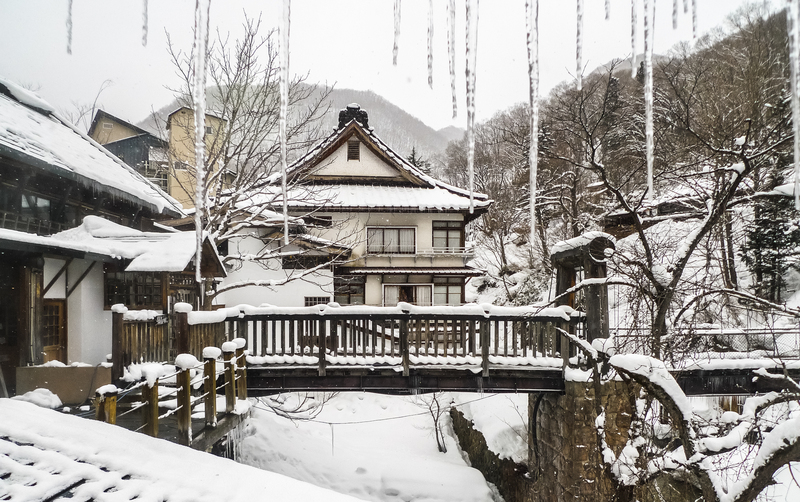 Takaragawa Onsen was one of the first they visited. I wasn’t with them at that time but they made sure I became well-acquainted with it (bears, onsen by the river, snow etc) afterwards. 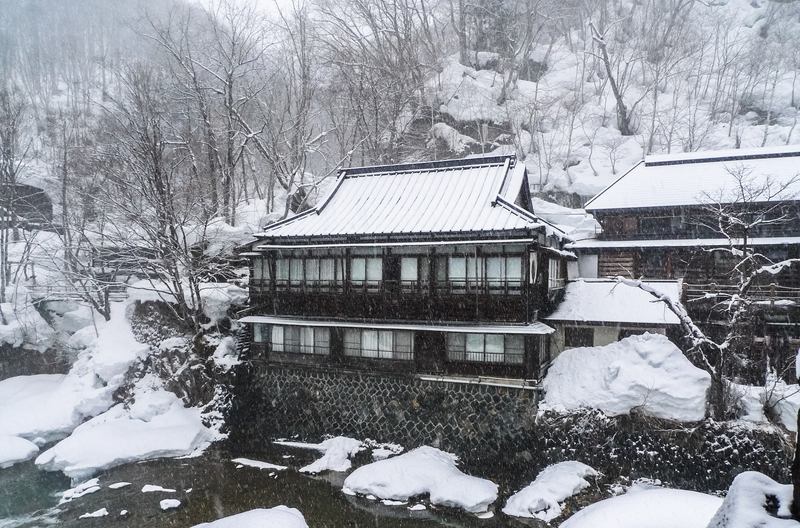 Their first onsen and rotenburo experience – left an indelible mark in their hearts. I attributed that effusive praise-letting to the ‘first encounter’ effect. Until I decided I should see it for myself. It was the last days of February. Tokyo was down to 5°C but the skies were clear. We were feeling good – the Tokyo Marathon (2012 edition) was finally behind us and the real fun could finally begin: onsen, good food, beautiful sights. 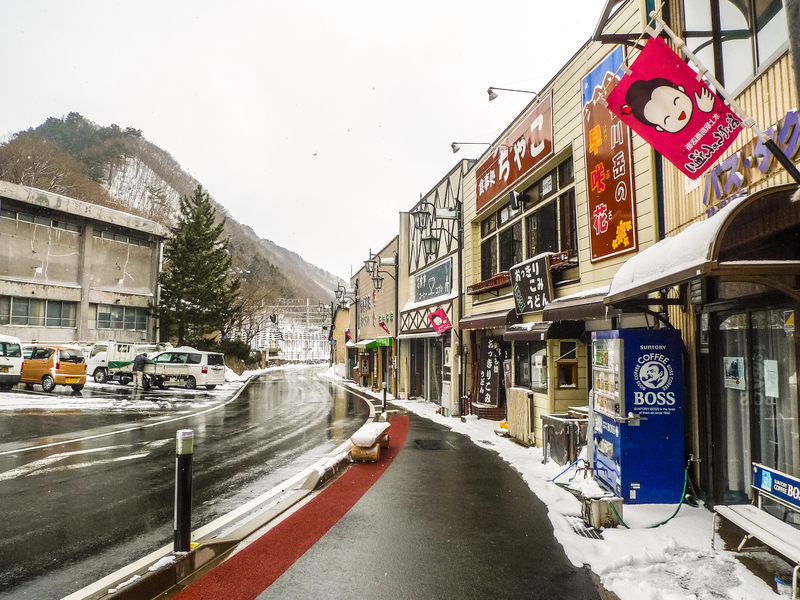 We were on the way to our first stop: Takaragawa Onsen 宝川温泉 in Minakami 水上. But our fun was in danger of being nixed even before we got there. 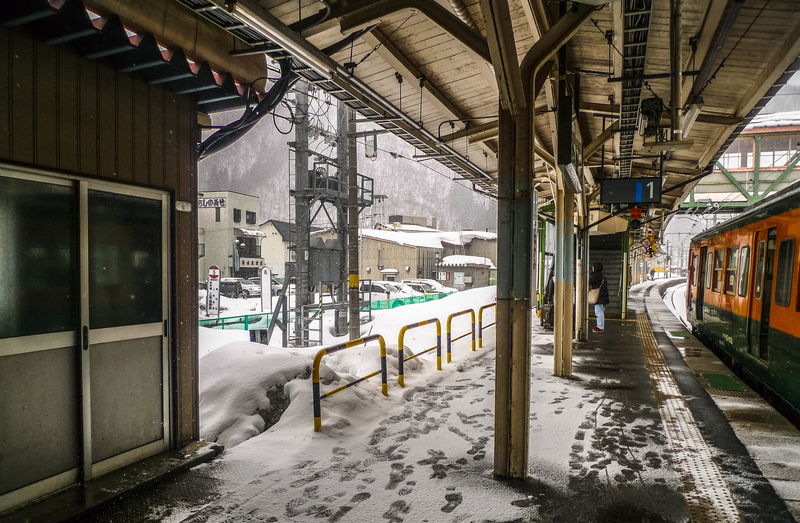 Blustery winds and heaps of snow greeted us as we stepped off the train at Minakami. For some it’s awesome (tropic-dwellers such as us, maybe), for others it’s awful (locals trying to make a living). Whichever it was, the heavy snowfall definitely fell miles outside the realm of our plans (although I can’t remember what those were now). 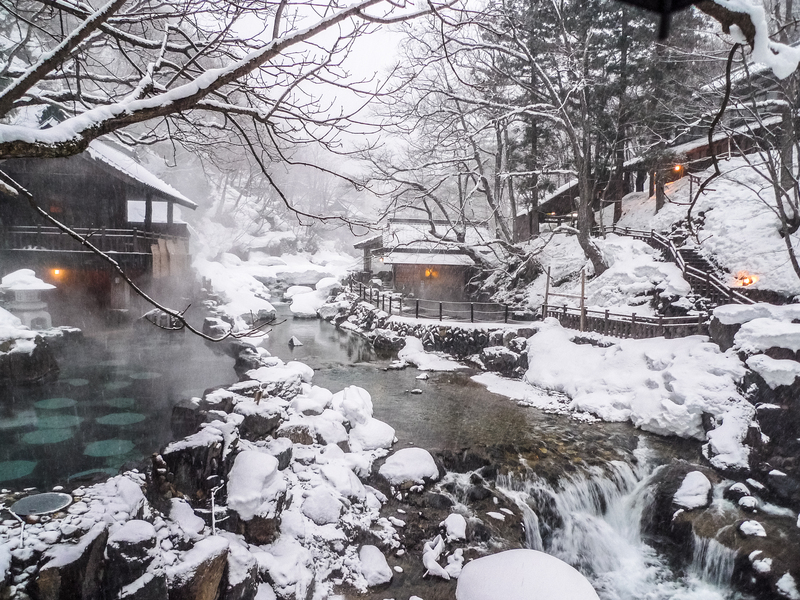 Takaragawa Onsen Osenkaku 宝川温泉 汪泉閣 is well-known for its large, dramatic riverside rotenburo 露天風呂 or outdoor baths. 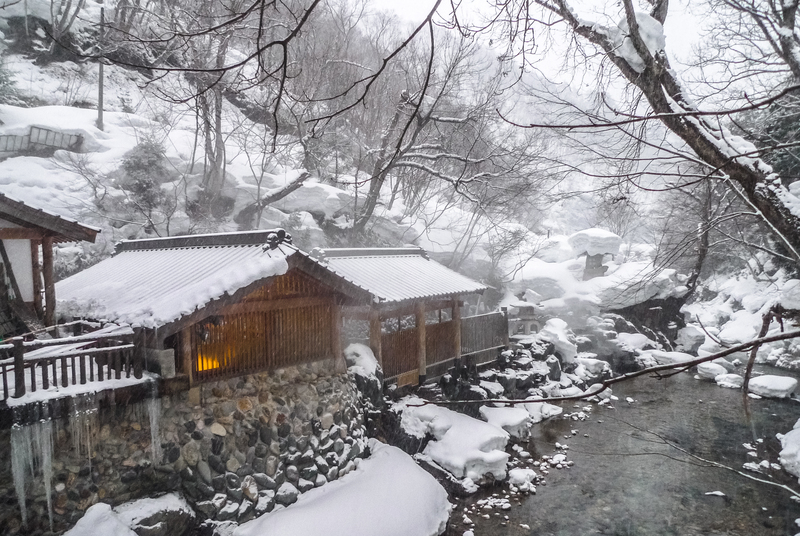 It is located in Minakami, a town in Gunma Prefecture 群馬県 well-known for its hotsprings. 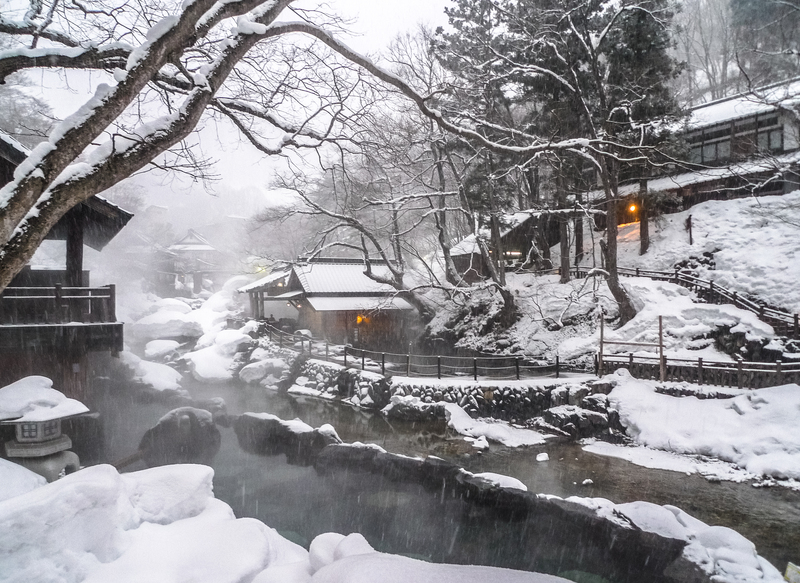 Gunma itself is reknowned for its hotspring towns, the others being Ikaho 伊香保, Kusatsu 草津, Shima 四万, Manza 万座. 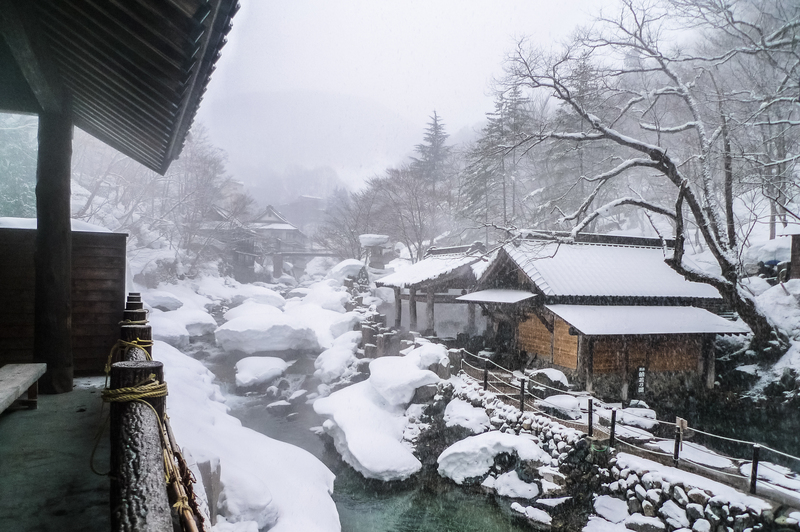 In Minakami the more popular onsens are Takaragawa and Hoshi 法師, which are single-ryokan onsens and Tanigawa 谷川 and Sarugakyo 猿ヶ京, which are onsen resorts (where clusters of ryokans/hotels are built around the hotspring source). There is no direct connection from Tokyo to Minakami. Take a train from either Tokyo/Ueno station to Takasaki and Minakami or take the train to Jomo Kogen then transfer by bus to Minakami. I find taking the train convenient because there are many lines going to Takasaki: the normal JR Takasaki line, the limited express JR Kusatsu and the Shinkansen lines Toki, Asama, Tanigawa. At Takasaki, take the local JR Joetsu line to Minakami. If transiting at Jomo Kogen, take the Shinkansen lines Toki, Asama, Tanigawa. At Jomo Kogen, transfer to a bus to Minakami. This option may be slightly faster but not by much. 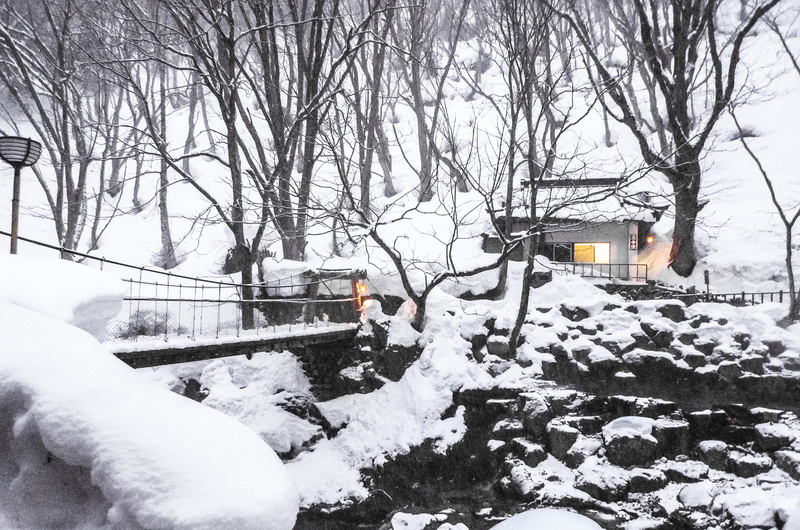 Takaragawa Onsen provides complimentary transfer from Minakami station for staying guests. 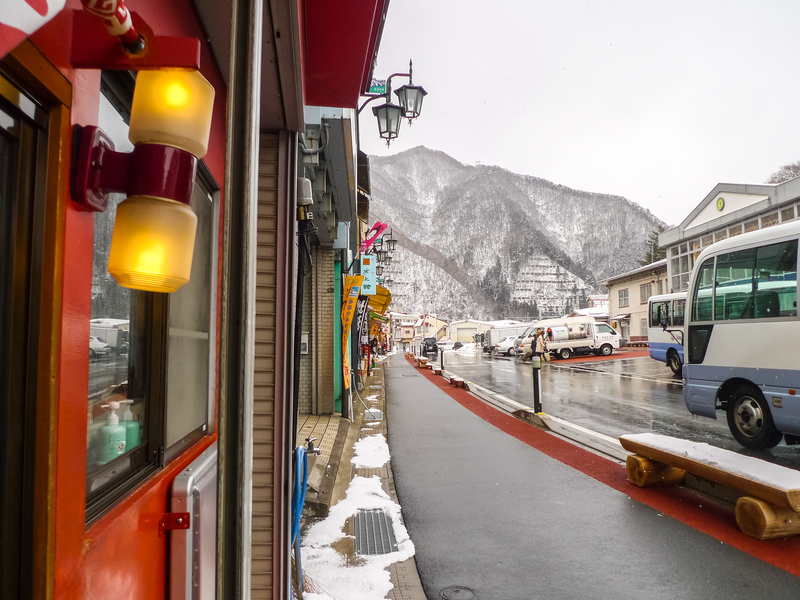 Alternatively, there’s a bus outside the station that goes to the onsen (40 minutes). For more information, check out the Tourist Information centre directly opposite the station. 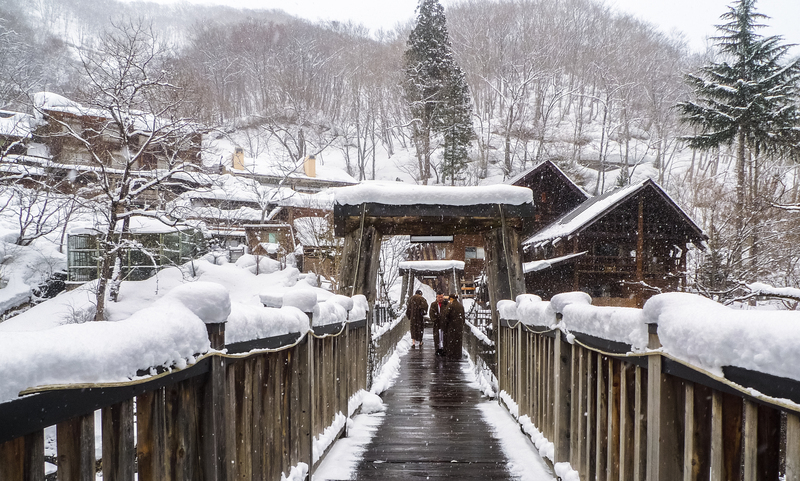 We arrived at Takaragawa Onsen in the midst of heavy falling snow. Flanked by thick layered snow on either side, the driver navigated the wet, slippery road expertly as we held our breaths. 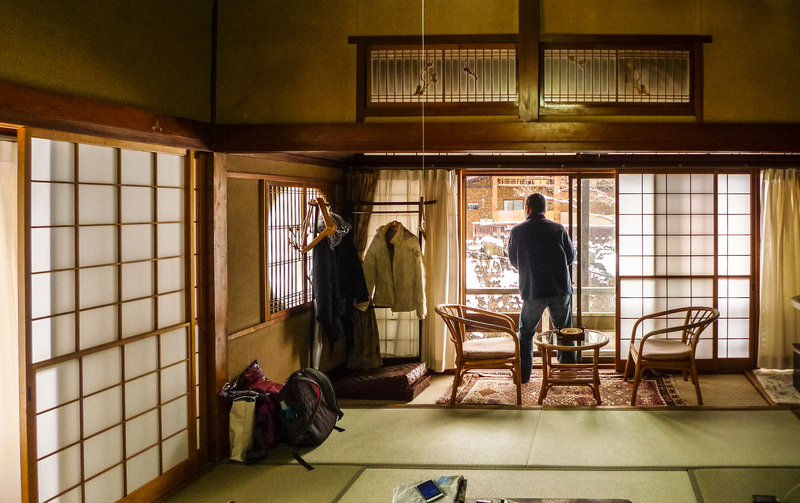 The ryokan felt like a long, sprawling complex but was actually 4 buildings connected together. We stayed in the Annex building at the innermost end because, according to our pals, they offered the best views. But the rooms did not come with attached toilets or bathrooms and in winter, it was the coldest part. 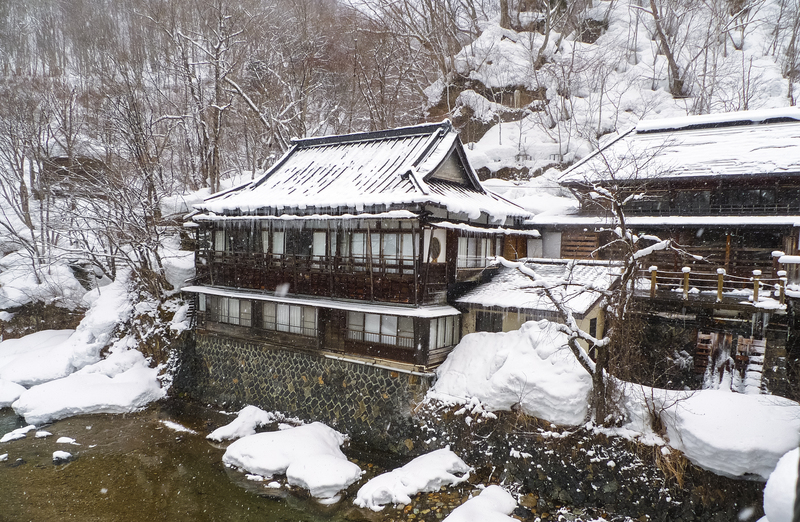 Despite the cold, to onsen we must go! Going to the rotenburo was a test of willpower, a constant tug-of-war between comfort and curiosity. Should we wrap ourselves in down, socks, boots or stay put in the main hall and bathe in the indoor bath instead? 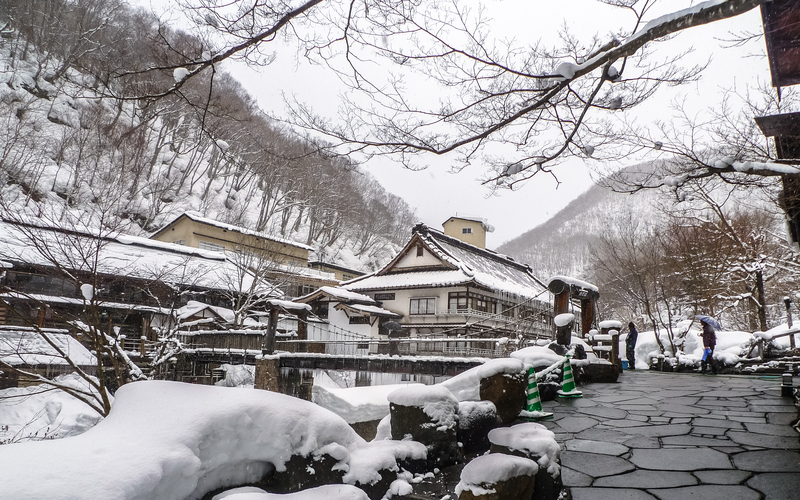 Because getting to the rotenburo meant having to get out in the snow and cold, crossing the bridge (White Hawk Bridge or Hakutaka 白鷹) and walking down a not-so-short foot path. But cross the bridge we must, for the rotenburo was why we came here in the first place. The rotenburo is actually comprised of 3 mixed-gender outdoor baths and 1 ladies-only bath. 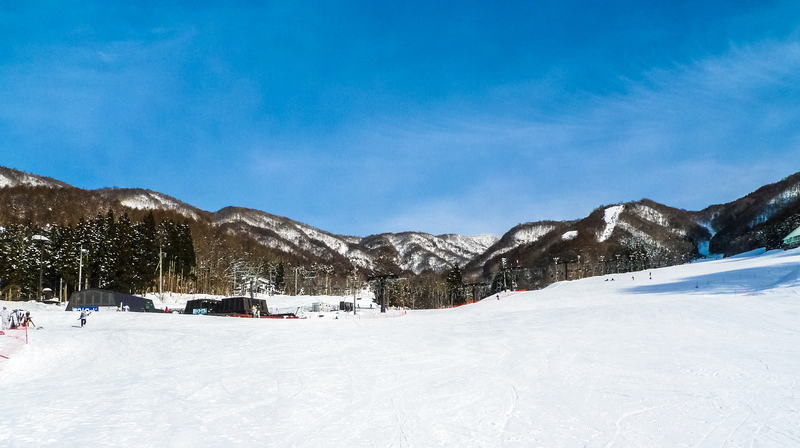 Coming from the main building, we will reach Maka no yu 摩訶の湯 first, the most featured of the 3. After Maka is Hannya no yu 般若の湯 which has a shallow section safe for kids. The biggest bath Kodakara no yu 子宝の湯, is on the opposite side, accessible by crossing a hanging bridge. The ladies-only bath Maya no yu 摩耶の湯 is on the same side as Maka and Hannya but further away. Ignore the urge to get on the bridge and just walk straight on. The ladies’ bath is well shielded from prying eyes but there is much less to see from there. 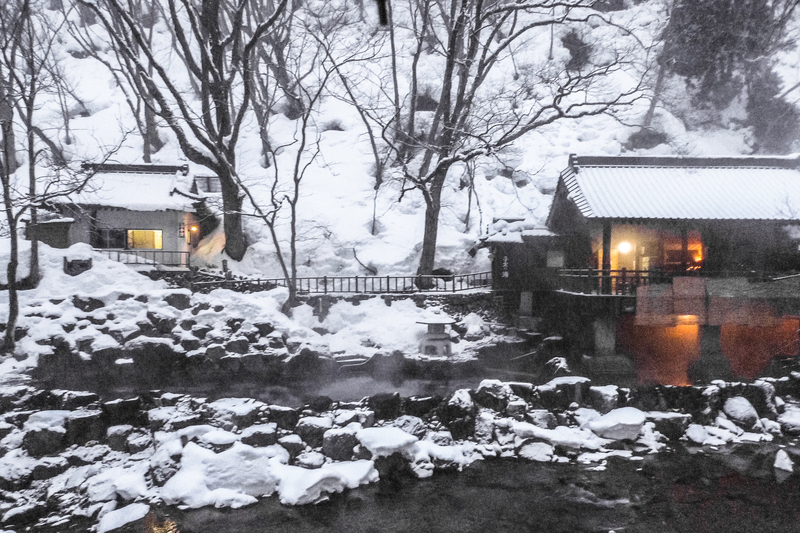 At Takaragawa, it is acceptable to wear a towel into the baths, something quite uncommon in most onsens in Japan. The ryokan also provides the Yuami 湯あみ a towel-dress (complimentary for staying female guests) so ladies can enjoy the outdoor baths without compromising their modesty. If your prefer to enjoy the mixed baths in the buff, go in the cover of the night. Or super early in the morning (6am) when everyone else is still in bed. We stayed 2 nights at Takaragawa. Dinner was the traditional kaiseki dinner often served at ryokans but I felt it was average (hence no photos). The hotel provided complimentary transfer to Hodaigi. 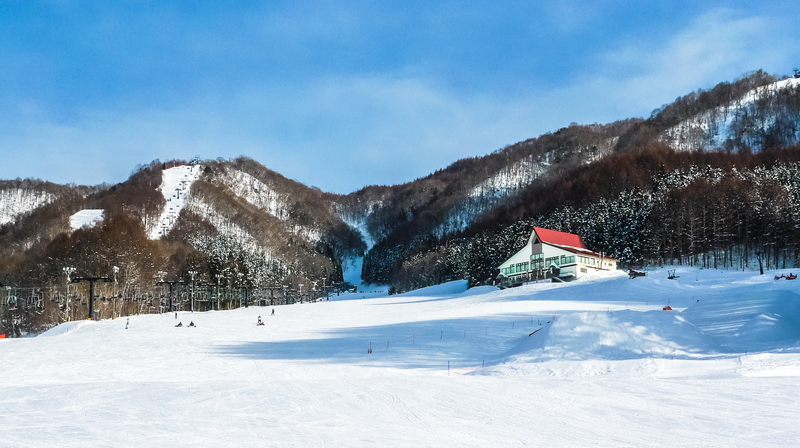 We thought we’d just sight-see and go but finally succumbed to the lure of the slopes. Armed with foolish confidence and a dash of daring, we bought the ski-pass then spent the entire day tumbling down the Tampopo route. After putting a big hole in 1 jeans, feeling exhausted, disheartened, cold and hungry, we took a break at Cafe Pegasus. There, we observed kids taking lessons and finally had our eureka moment. We left the cafe, putting those observations to practice. No more falls! Must be Pegasus working his magic! 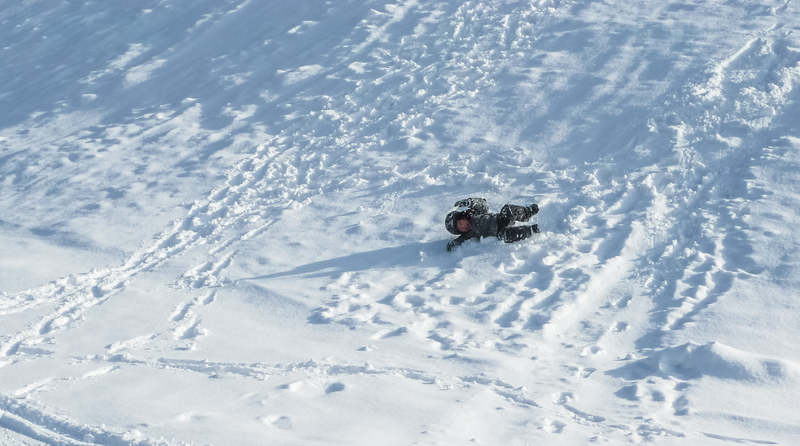 Skiing was really addictive. I felt I could go on forever but unfortunately, we soon used up our the ski-pass credits and had to go back. I roll because I’m happy! 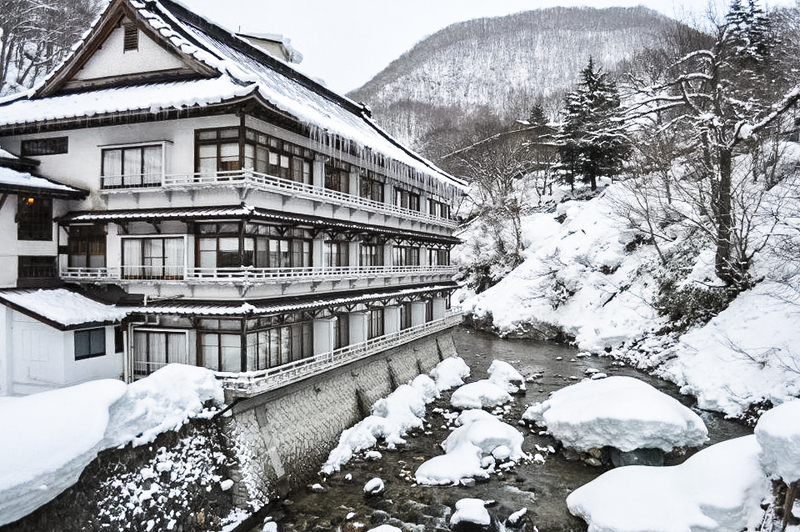 Takaragawa Onsen has one of the best rotenburo I’ve visited and is a great second-onsen option. 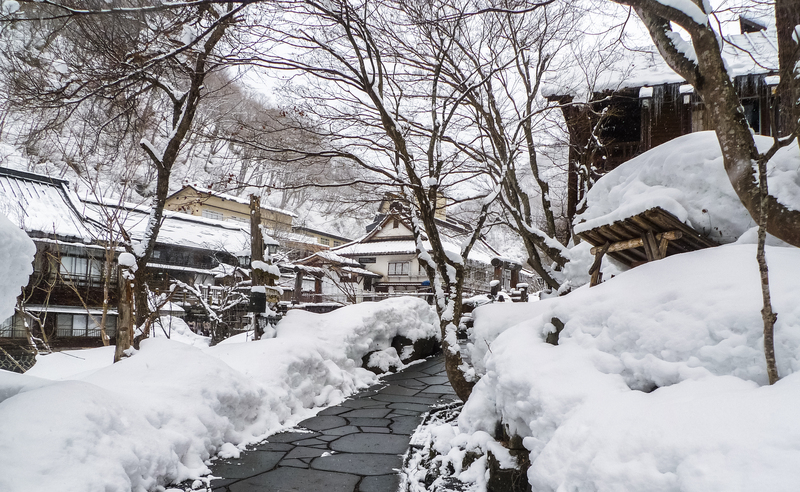 I’d rather not recommend it for the first-timer because very few onsen you visit afterwards will have a rotenburo that lives up to Takaragawa.